Most people do not floss regularly. However, dentists advise that patients perform this oral health task daily. It is a way to remove plaque or trapped food from between teeth. Recent scientific studies have analyzed whether or not flossing can help to prevent tooth decay. Articles have been circulating in the Associated Press that reports little evidence exists that proves how well flossing actually works. To counterbalance these claims, the Journal of Dental Hygiene has explained that flossing does help to lower the likelihood of developing gingivitis and reduces plaque in the mouth. This means that cavities are lessened as well. What Happens if You Do Not Floss? If you do not floss your teeth regularly, you run the risk of developing cavities and a host of gum problems. Without flossing, it is not possible to eliminate plaque that builds between each tooth. Plaque contains a high level of bacteria that irritate your gums. When this occurs, gums get red, and inflammation occurs. This often makes bleeding an issue. Also, this bacteria destroys enamel. Without flossing, the enamel between your teeth become susceptible to decay. When you do not floss, you may develop gum disease, which can lead to periodontal disease. The bacteria that accompanies this condition may enter the bloodstream and travel to vital parts of your body, including your heart and lungs. This condition has also been associated with diabetes. To lower the chances of developing these issues, it is essential to practice a solid oral hygiene routine that includes flossing. The American Dental Association recommends that it is best to floss once a day, especially before bed. Understanding the proper flossing technique is crucial if you want to keep your mouth healthy. You should begin with approximately 18 inches of floss that is wrapped around your middle fingers. The floss should be held tightly while you slide it up and down each tooth. At the bottoms, curve the floss and get under the gumline. Use a gentle motion so that you do not harm your delicate gum tissue. As you move along, use clean parts of the floss. There are a number of floss types on the market, so it may be challenging to uncover the best one to use. Depending on your individual preference, you can select a waxed or unwaxed product. Floss comes in a multitude of flavors as well. Since normal floss is crafted from nylon, you may find that it shreds easily. If you have teeth that are very close together, you may wish to use a single filament floss. This makes it easier to penetrate tight spaces. No one wants to worry about developing cavities. The best way to prevent decay is to follow an oral care routine that includes flossing. If you are still wondering if flossing helps to eliminate plaque and helps to avoid decay, discuss the topic with your dentist. For flossing tips or suggestions on how to keep your mouth healthy, call for an appointment today. 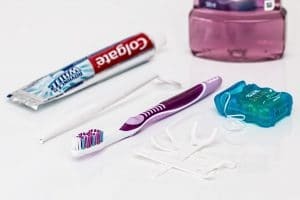 Best Brushing Tips To Prevent Tooth DecayShould You Really Brush Twice a Day?